HomeBlogSEO is dead, but what marketing can we do instead? In fact, there are more than any human being could look through, so a search engine uses a mathematical formula and a ‘robot’ to work out which pages are the best. When you type something into a search engine, it then pushes the pages it thinks are most relevant to the top. If this is your link, you will then get visitors to that web page. After a few years, lots of companies figured out the formula and were using that knowledge to get their customers pages to the top. The problem for search engines however, is that this bypasses the means through which they generate revenue. The listings at the top, side and bottom of the search results are all sponsored. If you pay more money,then generally you feature higher up the page, so search engines need you to pay, in order to generate revenue. Over time, more and more money was going to SEO companies, so the search engines began to fight back. They gradually tweaked the formula to disrupt the SEO companies. This means that your business needs to use the official sponsoring mechanisms, to make sure your pages are as high on the results page as possible. You see, the search engines need to make more money, partly because the are commercial businesses and also because the social networks are taking their advertising money by the billion. Where does this leave your business? In some cases, totally screwed. We have heard of at least a few cases where the damage is costing millions of pounds. For many smaller companies, it’s thousands of pounds. Some companies have lost some, or in extreme cases, MOST of their traffic! Bear in mind however, that the damage is at least partly self inflicted. It may actually be worse than you think too. As a warning for the future, if you have used an SEO company, they may have used some techniques that the search engines didn’t approve of. Not only do these techniques no longer work, but you will actually continue being penalised until you undo them. In other words, you may have been banned from the listings or at least heavily disadvantaged. We have even seen some companies offering to undo the damage for even more money. Something more akin to a ransom demand, if they were the ones who created the problem in the first place. That is not to say however, that there aren’t plenty of companies who can deliver value for money in helping you to rank higher on search engines by the way, but how can you tell? Don’t start a war when your opponent owns the battlefield, the soldiers, the weapons and has total control over the strategy and your soldiers too. If you hand over complete control of all of your marketing to anyone – including Facebook, Google, Lead Generation companies, Twitter, or even a marketing agency like us, at some point this may come back to haunt you. 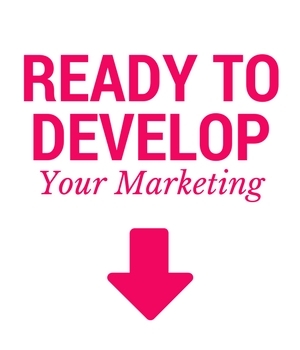 In particular, if you concentrate all of your marketing in one area, this too will eventually cause you problems. If things change – and they always do, you may be powerless to do anything about it. We advocate a multi-channel approach. So, our advice, simply move your money around different marketing channels and constantly test what is working. Our philosophy is to ensure that our clients take as much of their marketing in-house and we support them with that. If we stop performing, you can always move it somewhere else or do it yourself. We don’t want to control you, we want to support you. Finally, ask yourself one simple question. Do I own and control the channel of communication between our company and my customer or prospect? If not, we can help you to take ownership of this and your future.